DBP faculty join IOA, MPP, MSC and the new Department of International Economics, Government and Business (EGB). Brooke Harrington wins Academy of Management Award for research impact! How do the one percent hold on to their wealth? And how do they keep getting richer, despite financial crises and the myriad of taxes on income, capital gains, and inheritance? Capital without Borders takes a novel approach to these questions by looking at professionals who specialize in protecting the fortunes of the world’s richest people: wealth managers. Brooke Harrington spent nearly eight years studying this little-known group—including two years training to become a wealth manager herself. She then “followed the money” to the eighteen most popular tax havens in the world, interviewing practitioners to understand how they helped their high-net-worth clients avoid taxes, creditors, and disgruntled heirs—all while staying just within the letter of the law. Capital without Borders reveals how wealth managers use offshore banks, shell corporations, and trusts to shield billions in private wealth not only from taxation but from all manner of legal obligations. And it shows how practitioners justify their work, despite evidence that it erodes government authority and contributes to global inequality. Harrington’s research offers the first glimpse into the tactics and mentality of a secretive profession that controls astonishingly large flows of capital around the world. Based on sixty-five practitioner interviews—conducted in the traditional financial centers of Europe and the Americas as well as the up-and-coming tax havens of Africa, Asia, and the South Pacific—Capital without Borders gives voice for the first time to an elite that has worked quietly and unobtrusively to enrich the one percent. 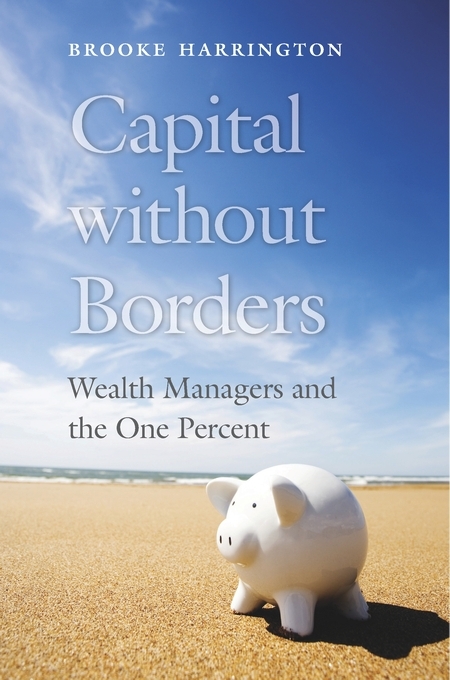 Brooke Harrington: “Capital without borders - Wealth Managers and the One Percent”, 400p, Harvard University Press, September 2016, ISBN 9780674743809.